Stryker hip replacement lawsuits have been filed by plaintiffs all over the United States with the help of medical malpractice lawyers. This legal controversy continues to grow in scope as more people emerge to file complaints regarding the Stryker Rejuvenate hip replacement system that has allegedly failed. A Stryker hip replacement recall was issued for its Rejuvenate product in 2012, but that only prevented additional harm being done to patients. It did not help those who were already depending on this product to act as a replacement hip joint. The most common reason that has led so many people to make the decision to file a Stryker hip replacement lawsuit involves what was supposed to have been an innovation from other artificial hip joint products. Instead of having a metal-on-metal joint, the Rejuvenate product moved away from that approach. However, it did still contain components that were metal-on-metal in nature. As such, medical malpractice lawyers heard terrible stories about suffering endured by people who would be affected by the Stryker hip replacement recall. Many of these stories were similar to the suffering encountered by people who had used other hip replacement products. These problems along with the simple failure of so many Rejuvenate units before they were supposed to be replaced contributed to the decision to initiate the Stryker hip replacement recall. While this decision most likely prevented additional injuries, it did nothing to help those who had already suffered. 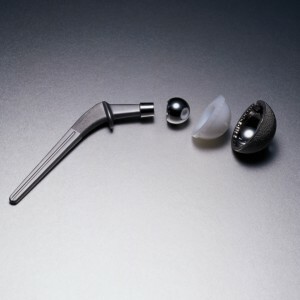 Many people forced into this position sought the help of medical malpractice lawyers in filing a Stryker hip replacement lawsuit, but they soon found that the manufacturer was defending itself aggressively against these claims. Defense theories that have been put forward, even in the wake of the Stryker hip replacement recall, included arguments that doctors had not properly implanted the devices, that patients were not following the proper rehabilitation protocols and that health conditions such as diabetes led to the degradation of these units. Given this aggressive stance, people should make sure that they have strong legal advocates representing them before they file a Stryker hip replacement lawsuit. Experienced medical malpractice lawyers who have a long track record of holding different types of medical companies accountable for the harm they have caused will make an enormous difference in terms of the progress that’s made towards recovering compensation. People who face additional surgeries to replace their defective hip joints and who face medical problems as a result of these malfunctions need to act quickly to protect their legal rights. If this includes you or someone you love, contact Parilman & Associates today to schedule a free initial consultation.